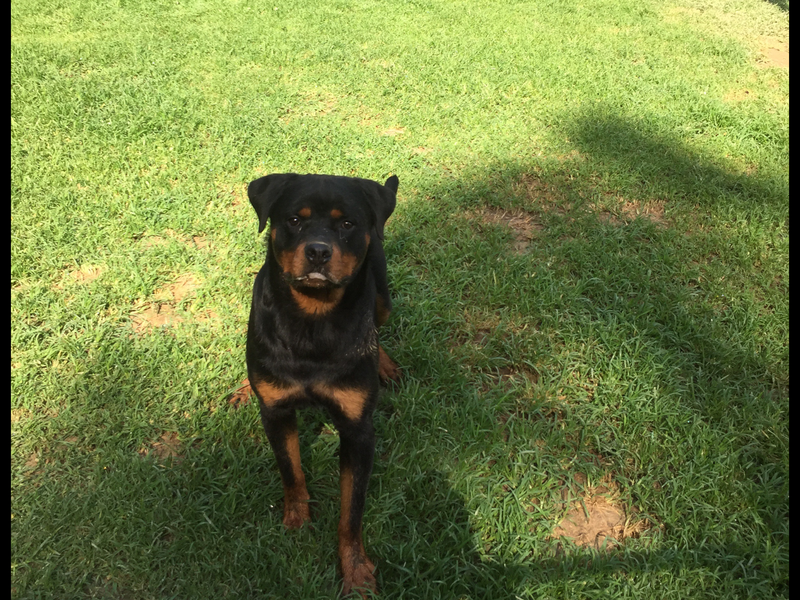 Kane – Rocky Top Rottweilers Inc.
Kane is our newest male. 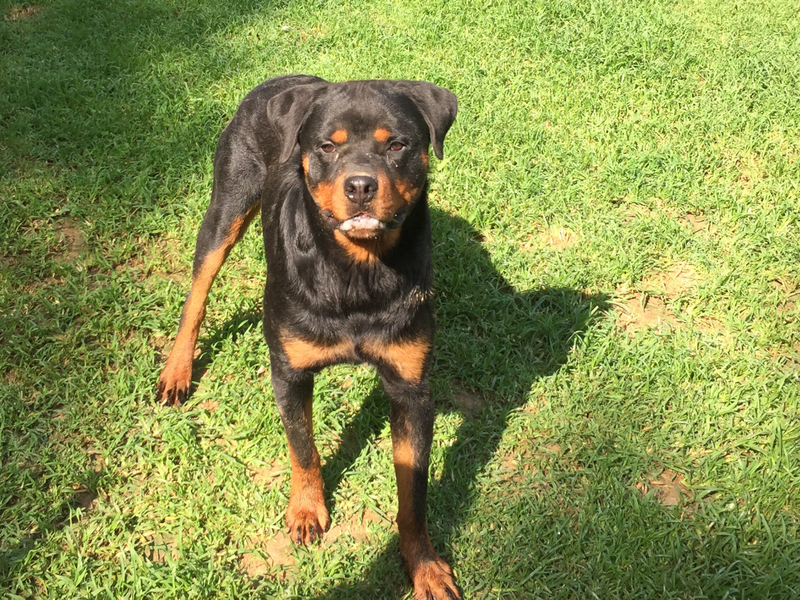 He is a little over a year old and has outstanding championship bloodlines and pedigree. Kane is also AKC registered. Kane is a lively young male with a mild temperament. He loves to run and play with with our females but especially loves to run and bark at Finn, our little Maltese male. Kane and Vita are best of friends and you can usually find the two of them in the middle of a good romp and play session! Kane is growing everyday and enjoying being a rambunctious puppy!